CareCenter MD ™is a multimodality PC-based wireless diagnostic workstation with both PC ECG and PC stress test modalities, designed to make your workflow much easier. 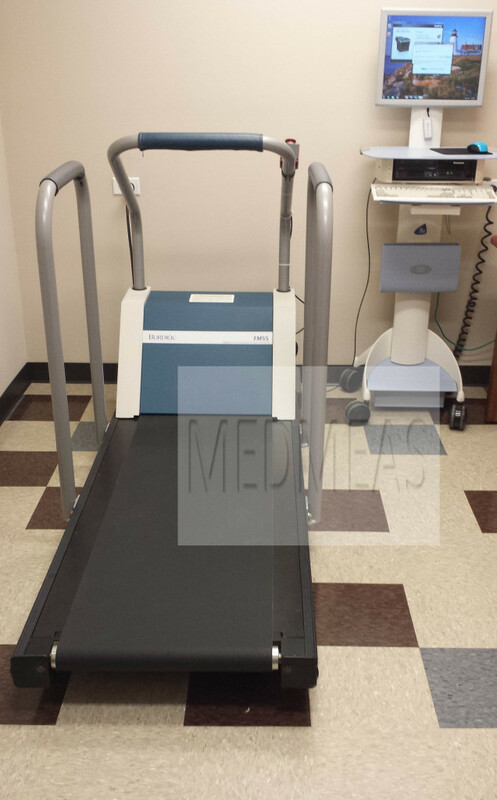 The CareCenter MD is paired with a refurbished TM55 Treadmill . This quality treadmill also comes with a one year warranty. Medical Measurements unique offering also provides the Flo 1750 workstation which will house the computer, keyboard and accessories The workstation makes efficient use of your office space. Multimodality, scalable workstation. One platform for both ECG and Stress test means no re-entry of patient data, plus scalability for new modalities as they become available. Convenience. Wireless data acquisition means test safety, comfort, and confidence for your patients and staff. Ease of use. Our modern, flexible user interface uses the same simple, one-button navigation for all modalities. Advanced networking. CareCenter MD shared patient database provides access to complete test data across the network; CareCenter MD Online allows for remote live consultations. Shared patient database. A single, shared patient database means results are available throughout your network, with or without an electronic health records system (EHR). Flexibility. Modify and save screen views on the fly. Select the report format that works best for you. EHR connectivity. Save, review, and combine permanent patient records in your EHR via HeartCentrix or HL7. Confidence. Physicians trust the Burdick® and Quinton® product lines with more than 65,000 devices delivering proven performance in many clinical environments.